In the process of finding property or customers to rent, buy or sell in Chiang Mai, you can use the services of real estate agents along with your own search on the internet and using all kinds of media. In the commission-driven economy that Thailand is, it's sometimes hard to tell who is / are the agent(s) in between, because for every introduction a middleman usually asks for a commission and to any deal there may be several middlemen in between. Moreover, in a booming property market as we are in now, agents emerge like mushrooms in an autumn forest (while many of the disappear again in a recession) and right now, there are many new agents operating in the market. at commission equal to 1 month of rent for a 1-year contract, 1/2 month of rent for a 6-months contract, and up to 20% for shorter terms. All of these fees are charged to the landlord / owner, the tenant or buyer doesn't pay. However, as a tenant or buyer it can still pay off to skip the agent, because then there is more leeway for negotiation that the owner can give to you. While agents in many western countries will give you a fair market value when it comes to renting (out), buying or selling, most agents in Chiang Mai don't. They mostly stick to what price you want to rent, buy or sell for. If you're not always in Chiang Mai, you can completely outsource management of your rent to some agents at fees typically of 10-20% of the total rental income. Most agents help to sign some kind of standard contract to buy or sell property and give basic assistance until the transfer at the landoffice. Some agents offer assistance to renovation your property, typically at 20% of the total construction costs (materials, furniture and labour). As part of their work, agents often help drafting a contract or checking title deeds but be careful as many contracts are not protecting your interests properly (and, sadly, even contracts by lawyers are often inadequate). 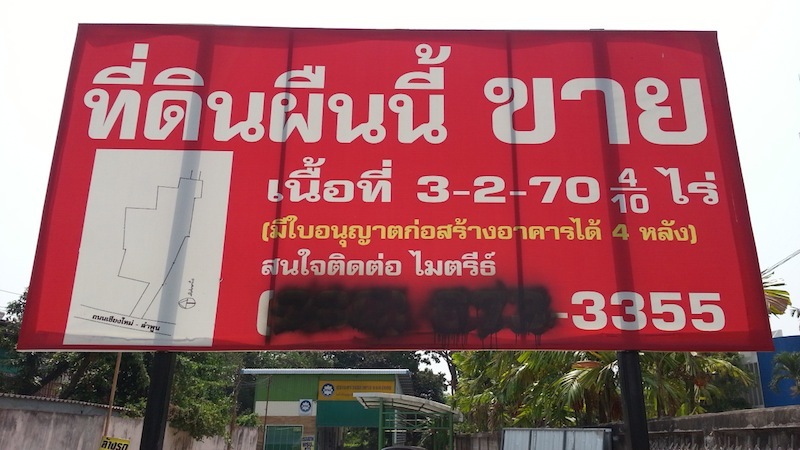 Unfortunately, agency practices in Chiang Mai in general are not as professional as you would wish for or expect. This is due to a lack of proper training, low ethical standards, lack of industry standards, and poor legislation. The Thai government does not require agents to have any education or training (although there is a semi-official body in Bangkok that issues licenses that aren’t worth much, anyway). Since there is usually quite a lot money at stake, fast money grabbing and short-term thinking tend to dominate many agents' minds. The agency sector didn't set any standards and in fact, most agents do not cooperate with other agents, except for with a few befriended agents perhaps, simply because they don't trust each other. Moreover, who is an agent is often unclear because any person introducing you to a counterpart is in fact acting as a middleman or agent, and expects a renumeration for it. Thailand is a commission-driven economy, so anyone introducing you to a business partner (buyer, seller, tenant) expects a commission for it. It could be your neighbour, your gardener, the security staff in the building, or the condominium management. Even the manager of a condominium building typically gets 3% from the owner just for providing information (which in fact should be part of the normal job responsibility without further reward). All though mostly uncommon or even considered unfair in Western standards, it’s very normal in Thai standards. Whenever you engage in a deal, simply accept that behind the scenes there may be several parties benefitting from introductions, it's just Thai-style doing business. As a consequence of how agents (and some owners) operate in the market, information is not shared freely and the market is very intransparent. All agents are operating on their own little island and only care about their own commission. So far, no system, nor the internet has been able to change that situation. The result is that you as a seller, buyer or tenant suffer. You have to go to many agents to find or give more information, agents won't do it for you. Also, you have to do your own research as to market value, many agents won't give you a fair market value, instead they may try to take advantage of your lack of knowledge by cashing in on the price difference between what you think is a reasonable price and the market price. It's hard to avoid being taken advantage of if you don't know how to work with and how in Chiang Mai. Working with an agency company as opposed to a single freelancer does not guarantee better standards, nor does working with an agency run by foreigners, although they generally have some higher standards. Some of them, however have already adapted to Thai standards and engage in the same doubtful practises as their Thai colleagues do. Read more about malpractises by agents underneath. CM Locator aims to be as complete and as objective as possible in providing you an overview of agents operating in Chiang Mai in our directoy. CM Locator also offers a number of real estate services, acting as your Property Pal. These agents excel in customer service, knowledge of the market and honesty, although they will not cover the entire market. If you are dealing with a real estate agent of your own choice, beware of common malpractices in the market. Always remember that the main driver for most agents in Chiang Mai is simply to get commission or short term benefit, not to serve the best interests of their customers on a long term basis. Whatever an agent tells you, that it represents your interest or alike, the main driver is usually for them to make the deal happen. No deal no commission, that's it. Some agents claim to represent your interests only, meanwhile selling and buying property, which makes it very doubtful that they can truely act purely on your behalf. In fact there is an inherent conflict of interest if they have a property on offer that they want to introduce to you (Thai however, have no understanding of the notion of conflict of interest, both in business and in politics). Vulture practice: The urge to quickly grab commissions is so large, that some people simply drive around to pick up phone numbers of properties and try to sell them to someone they know. Often, they even destroy or take away the original signs of the landowners because they want to prevent potential buyers from contacting the owner by themselves. by someone who wants to prevent others from contacting the owner. 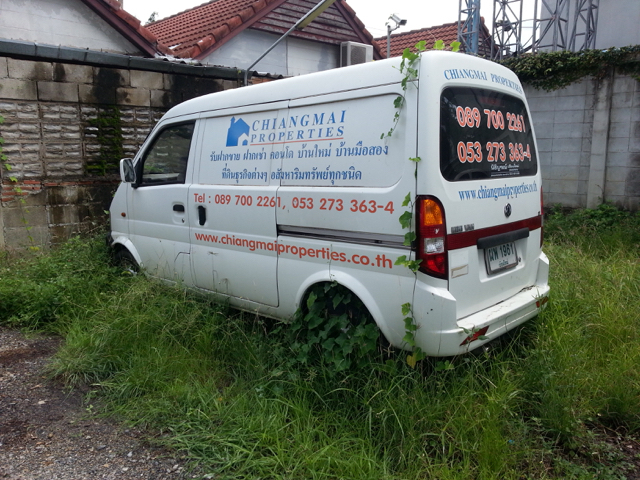 Upmarking: You intend to sell a property for say 1 million baht. The agent finds a buyer and tells him/her that the price is 1.2 million baht, but does not inform you about this. The difference, 200,000 baht goes into the agent’s pocket. Reminder: always connect directly to the other party to verify information. Wrong information: The agent tells the buyer that renovation of a condo in a certain way is possible, for example extension of the wall onto the balcony. But after the condo is sold, the buyer finds out that it’s not allowed by the management of the building. Reminder: always check the sources directly yourself. Double commission: In Thailand, it’s common that the seller or landlord pays commission to the agent. The buyer or tenant normally doesn’t pay commission. However, in some cases the agent may double charge. Wrong term: The agent brings a tenant to a landlord. The tenant intends to stay 6 months, but the agent tells (the tenant to say to) the landlord that the term is 1 year so as to get more commission. Not sharing / paying commission: When two agents work together to make a deal happen, they are supposed to share commission. For example, agent A has the seller as a customer, agent B has the buyer, and they find each other through the contact of the two agents. After the seller pays the commission to agent A, agent A is supposed to pay out half of the commission to agent B, but agent A doesn’t do that. This happens a lot and is a major reason why most agents in Chiang Mai simply don’t trust each other and therefore don’t cooperate. Typically, agents in Chiang Mai work alone or only with a few other agents that they know and trust. Owners also sometimes don't pay agents after introducing a customer that leads to a deal, claiming that they already got the contact through somewhere else. Above examples are just a few of how you can suffer from very common agency practices. As a general rule, always be careful whom you work with and what you agree with them. Also, double-check with any buyer, seller or tenant if what you have agreed with the agent is the same as the information the agent has conveyed to that person. If you need help, contact us. CM Locator does not hold any portfolio of properties, our only aim is to help you with Property advice.